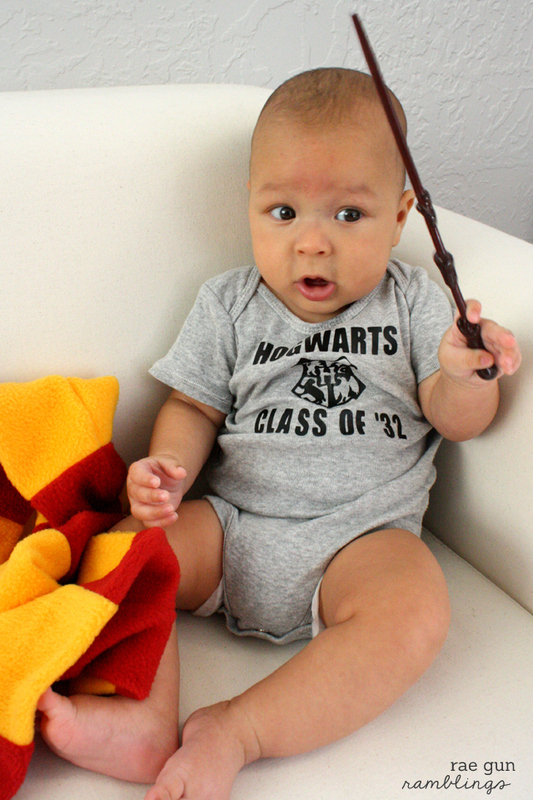 I kind of want to dress Teddy in Harry Potter stuff every day. I’m only kind of kidding. Seriously after our baby Harry Potter photoshoot I’ve been obsessed. 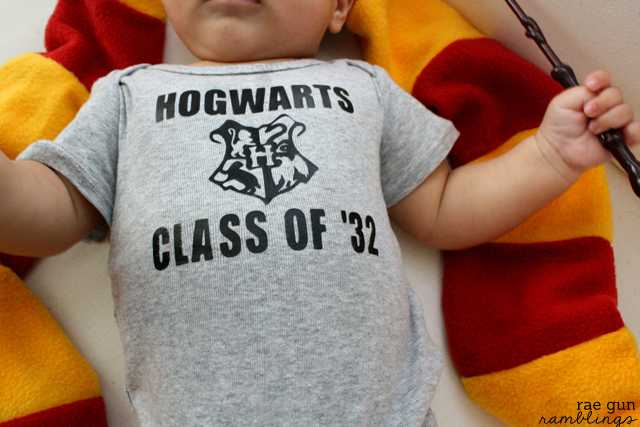 Hence this Hogwarts Class of Baby Onesie Tutorial I have for you today. Are you shocked and surprised it’s a vinyl project. If you don’t know how to use iron-vinyl it’s one of my all time favorite craft products. It’s super easy to use to customize clothing fabric and so much more. Checkout this how to use iron-on vinyl post for a very detailed picture-ful treatment of the technique. You can make your own vinyl or I’m selling the Hogwarts class of precut vinyl in my shop here. 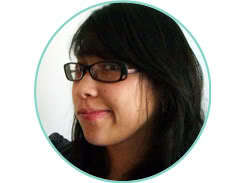 To make your own the easiest way is to design it using a cutting machine like the Cricut Explore. When you go to cut make sure you are cutting the mirror image (or else everything will be backwards) and that you’re cutting with the vinyl side up (and plastic side down). Once you have your vinyl cut out and weeded (that is you pulled away all the negative space), lay the vinyl down on your onesie and iron. You want to iron by pressing and holding as opposed to rubbing the iron back and forth. It’s best to use vinyl on clothing that won’t stretch much since the vinyl isn’t going to stretch with the garment. Once the vinyl is ironed onto the shirt pull away the plastic that it comes on. Lay a piece of scrap fabric or just flip the onesie over so the back of the shirt is up and iron again just to make sure the seal is good and firm. Put on your favorite baby and celebrate your good parenting decisions. Don’t feel like making your own? I’m selling the Hogwarts Class of oneises in my shop. Have you been following the Happy Harry Potter series? See what you might have missed there have been tons of amazing tutorials, recipes, and giveaways! I love this! I want to make these for some friends who are having babies and have been searching for the crest file. Where did you find the hogwarts crest file to cut out? I have the cricut and the vinyl and the onesie, it’s the last piece I need! Thank you so much for the tutorial! Love this! Making it this way, does it hold up well after a few washes using the iron? Do you recall what font you used for text?